Sony will bring its cloud-based gaming service PlayStation Now to the UK this Spring, in a limited beta rollout. To stand a chance of getting early access you'll need to be a UK-based PS4 owner with a PlayStation Plus membership. 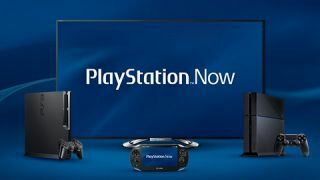 You can apply to be considered by signing up at www.playstation.com/psnow. Anyone who registered but is not selected will be kept informed when the service does eventually launch. PS Now will come to other Sony devices down the line, but the company says anyone looking to play will need either a DualShock 3 or 4 controller, and broadband with a speed of 5mbps for the best performance. One of the big advantages of PS Now is that it will finally bring selected PS3 games to the PS4. Those with keen memories might recall that the PS3 could play PS2 games through emulation, but this wasn't an option this time around. So PS Now offers a way to access those favourites online instead. Titles will include Far Cry 3: Blood Dragon, Dirt 3 and The Walking Dead among many others. When the full service launches, expect a much more expansive range. One day, perhaps, you'll be able to play every PlayStation game in history on the platform. Now that's something to get excited about. We've reviewed the US version PS Now to give you an idea how the service will operate - take an early look.